Although sunny yellow shades typically make a splash every spring in the decorating world, mustard yellow hues are a deeper, sultry alternative to the usual pale pastels. For anyone who is craving a burst of colour at home, mustard hues are a perfect solution which can instantly illuminate your space. As you embark on yet another interior design adventure this season, try keeping the following décor ideas in mind for a burst of refreshing colour. 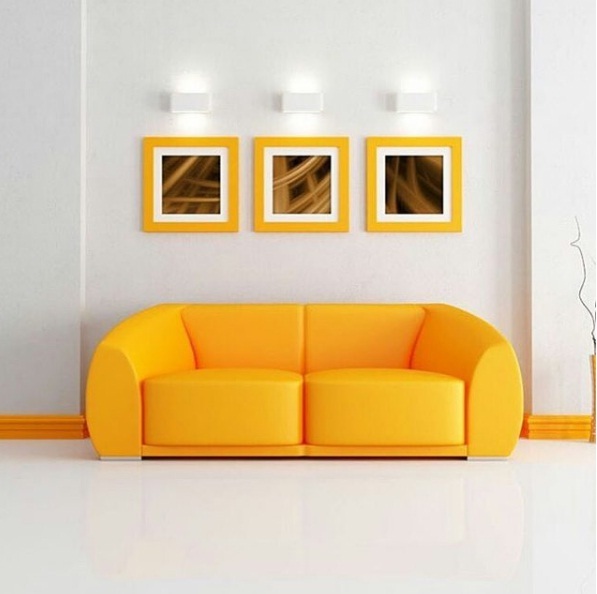 Infuse your living room with a mustard yellow sofa and matching photo frames: For a funky and entirely modern decorating concept, try incorporating a vivid mustard sofa into a space with ivory walls and floors. Meanwhile, contrasting mustard trim, avant garde white wall lamps and mustard yellow photo frames help to complete your chic decorating statement. 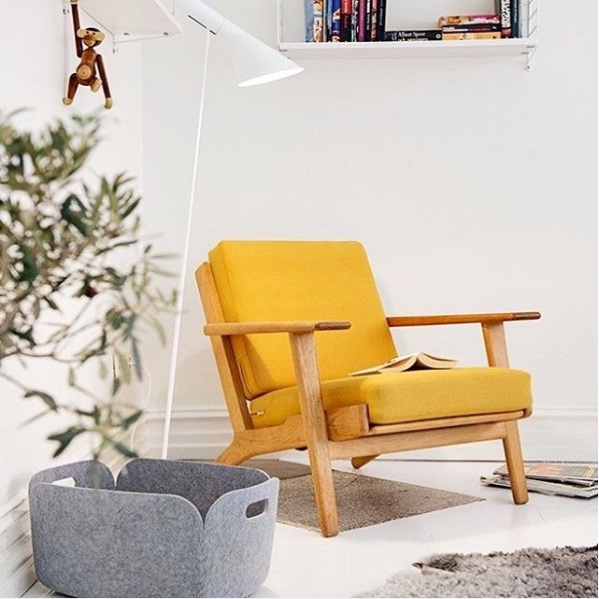 Decorate a simple neutral space with a striking mustard yellow chair: If you’re looking to take an understated step into the trend, bring a comfy mustard-coloured chair into a neutral room. Meanwhile, plenty of white paint, hanging white wall shelves and fluffy grey rugs wrap up your décor with true style and simplicity. Incorporate a splash of mustard paint into your home office: Mustard yellow may seem like a jarring hue, but it can easily bring your home office to life. 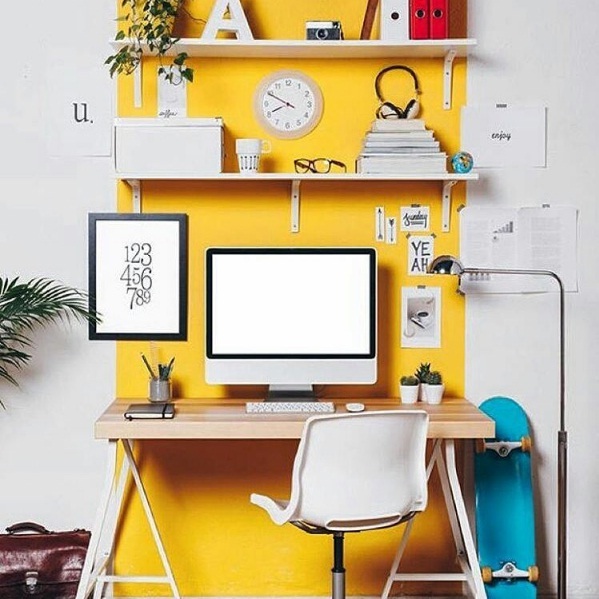 Try adorning your work or study space with a cheerful explosion of mustard yellow paint, paired with contrasting white walls. For a creative finish, decorate with slender wall shelving, a slim wooden desk and a hip metallic desk lamp.